Our company is the major company known for providing Cast Iron Butterfly Valve to the clients. This product is well suited for controlling the direction of path of slurry, vapor and other liquid. Offered range is extensively fitted with pipes to control the flow of fluid material. 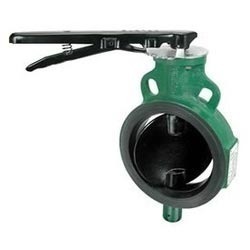 Cast Iron Butterfly Valve is available in different specifications. Design Standard BS 5155 & IS 13095.